Roxbury is one of 843 areas throughout the country that have been designated as Preserve America Communities since the program began in 2003. Preserve America recognizes and designates communities, including villages, hamlets, counties, neighborhoods in large cities, and tribal communities, that protect and celebrate their heritage. These communities earn this designation for their use of historic assets for economic development and community revitalization. Preserve America communities also encourage people to experience and appreciate local historic resources through education and heritage tourism programs. 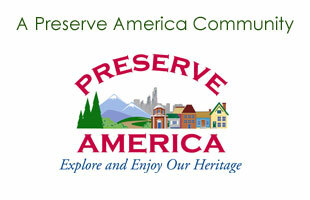 Preserve America is a federal initiative that encourages and supports community efforts to preserve and enjoy our priceless cultural and natural heritage. The goals of the program include a greater shared knowledge about the nation’s past, strengthened regional identities and local pride, increased local participation in preserving the country’s cultural and natural heritage assets, and support for the economic vitality of our communities.